WHAT IS IN FACT REALITY? Reality is independent of the interpretation that one has about it; for example a rose does not cease to exist of what objectively is by the fact that we see it as a flower and other person sees it as food. Even if there were in the universe a living being watching it, the rose would still be a rose because our observation does not alter its reality. IS REALITY OBJECTIVE OR SUBJECTIVE? Dear Professor: I am a student of Philosophy and one of philosophical issues that raises questions regarding reality is: "If a tree falls in a forest and nobody is around to hear it, does it make a sound?” Some people said that Kant’s point of view, who said that the idea of an "objective world" should be held by the idea of "world according to the observer." This would mean that what we see out there is our version of the world, if we are not there to hear the tree falling it doesn’t makes a sound. 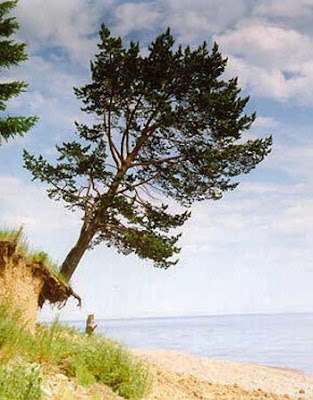 Other people said that even if there is nobody around to hear it, the noise produced by the tree will cause vibrations in the air that would make a sound ... obviously there was not a clear conclusion ...What is the truth? Dear Joseph: I asked your question in a session of telepathic contact, and I think there is nothing better than to transcribe the dialogues because the philosophical problem was finally solved. Interlocutor: Master, for a long time I have been thinking and thinking about something that philosophers have failed to solve... Specifically, Does the physical universe exist independently that anyone perceives it? I mean, Does a tree that falls in a forest make noise even though nobody hears it? Ruanel: I will give a very simple answer. As you know, the Absolute created Elohim and Elohim have the power to create spirits. Now if all Elohim agreed and they made disappear all the spirits, the physical plane would remain unchanged. Ruanel: As a vibrational energy that vibrate in a certain way in the physical plane. So, It’s not that the physical plane exists just because the spirit perceives it. The physical plane exists independently of the spirit. Interlocutor: Regarding the tree that falls, Does it make sound even if nobody hears it? Ruanel: That’s right. Even though no one hears it as noise. The reason is: if it didn’t make noise, it would be against the physical laws, because the crash of a matter against another makes a sound, regardless of whether a physical ear is there to hear it or not. Otherwise, I repeat it, it would be against the law that the Absolute has enacted. Interlocutor: So the Creator is, somehow, subjected to his own creation? Ruanel: Yes, he cannot be out of his own laws. Interlocutor: Here, not a long time ago, a set of drawings made on the basis of certain peculiarities to the eye appeared, which at first sight are flat, without depth, and also without any sense, but after few seconds of observation they appear surprisingly as three-dimensional shapes. That is to say the three-dimensional scene does not exist, but it’s created by the mind... Does this have any similarity with the example of the tree that falls in the forest? Ruanel: No, there is no similarity at all. That is merely an optical illusion. Interlocutor: Like a holographic effect? Interlocutor: Let's see if I understand: Reality, then, is not based on thoughts or agreements. Specifically, we could not agree that a tree that falls makes no sound. Is that so? Ruanel: That’s right. We could not agree that because the laws of the Creation are like that and we cannot change them. We could not make that an avalanche doesn’t make any noise if no one sees the avalanche. Ruanel: Of course that it exists! Interlocutor: Okay, it exists in the physical plane, but what do you perceive as spirits from the plane you are? Do you perceive also a UFO? Interlocutor: But do these objects really exist for you too? Ruanel: They exist as a physical energy of the plane 1... Of course they exist! Interlocutor: But Aren’t they going to disappear in the Big Crunch? Interlocutor: And this disappearance doesn’t mean in some way that the physical plane is an illusion? Ruanel: No! The physical plane is real. If someone comes at you in the physical plane and stabs a knife in your heart, you disembody... What illusion are you talking about? He makes you change of vibration! He kills you! Interlocutor: Well, but what will be of me after 100 years? Not even the shadow! ... What was left of the Master Jesus? Does he really exist or is he an idea of someone who walked on Earth two thousand years ago? Ruanel: Jesus incarnated and he gave messages and thanks of those transmitted messages he was named Solar Logos instead of two entities that were nominated, as Kether said. Ruanel: Yes, of course I know ... But it is not like that. Reality is reality. There is no valid axiom here. We live this reality. We have other parallel universes where there are other realities. Interlocutor: But Hermes said that "everything is and is not at the same time!”... Jesus existed and at the same time he did not exist. Was Hermes wrong? Ruanel: That's your interpretation. You are not seeing something else. If there is an ashtray and a savage thinks that it’s a bowl, the savage would think according to his interpretation. But the bowl will not exist. It's like the person who comes from a rural area and perhaps he wants to wash his face in the toilet. The reality is that if this object is a toilet will always be a toilet and no matter if that person that comes from the rural area wants to see a sink. The toilet is still a toilet and not a sink. Ruanel: They are atoms in motion forming the physical plane, through the Energy vortex, a toilet, an ashtray, a bed, a book, a radio or a TV! Ruanel: Right ... If you leave a room and the TV is on, it will be on, showing images and the sound will continue transmitting even if you are not there. This entry was posted at Sunday, May 23, 2010 and is filed under Concepts . You can follow any responses to this entry through the .